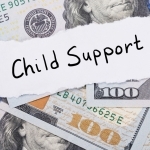 Legally stopping the payment of child support in Arizona is possible in several scenarios. Most often, parents discontinue such payments when their child turns 18. Keep in mind, however, that the age isn’t the sole determining factor. There are situations that necessitate additional child support payments, regardless of the age. In most cases, child support payments in Arizona will be discontinued legally on the last day of the month in which your child turns 18. If you are paying child support already, you have an Order of Assignment. This document features the date on which child support payments will be discontinued automatically. The only thing you will have to do is make sure that the child support order has been terminated on the respective date. In case you owe some child support that you haven’t paid over the years, the collection efforts could continue. Your employer may be instructed to collect the sum from your wages until the entire amount is paid to your former spouse. 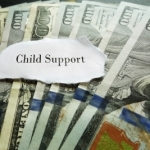 There are a few situations in which child support overpayment occurs. If the payments aren’t discontinued at the time your child turns 18, you will be entitled to reimbursement. You can also stop paying child support if you and your former spouse have such an agreement. In case you two decide to discontinue the payments before your child turns 18, you will have to attend a court hearing during which the agreement is submitted and reviewed. Finally, child support payments can be discontinued whenever a child becomes legally emancipated before the age of 18. Emancipation occurs whenever a child gets married, leaves the home of their parent or joins the army. Several situations will necessitate the additional payment of child support even after a child turns 18. You have to continue paying child support if your child is still in high school, regardless of their age. In such cases, child support will stop at the age of 19 or on the last day of the month, during which a student graduates (whichever comes first). Arizona parents are not obliged to continue supporting their children financially during college years. You should, however, check your divorce agreement. It’s very common for divorce agreements in Arizona to feature arrangements for support during college studies, regardless of the fact that such support is not required by law. A few other exceptions could necessitate payments past the age of 18. Whenever you’re a parent to a disabled child, the 18-year rule isn’t going to apply. The non-custodial parents of physically or mentally disabled individuals will have to pay child support to their former spouse for an indefinite period of time. What if You Can’t Pay Child Support Any Longer? As a non-custodial parent, you still have legal obligations to your children. Paying child support is one of these obligations. If you’re currently dealing with financial issues, you can’t simply discontinue making the payments. Rather, you should seek a modification of the child support order. Changes in income justify the review of the initial child support amount. This applies to both your income and the amount that your former spouse earns. In such situations, it’s important to file for modification as soon as possible. If you don’t, the child support payments will build up and you’ll find yourself in significant debt. 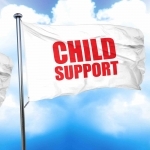 Modifications in child support are based on financial information. You need to have comprehensive records that show the change in your situation and your inability to keep up with the current amount. 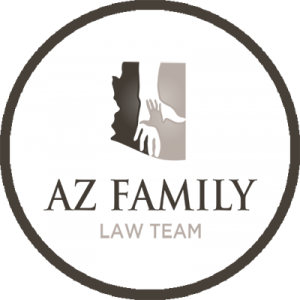 If you are going to pursue a change in the child support amount, see an Arizona family law attorney. The lawyer will give you a better idea about the procedure and whether a request for modification at the time being is going to be successful. Click here to find out what it takes to modify child support in Arizona.